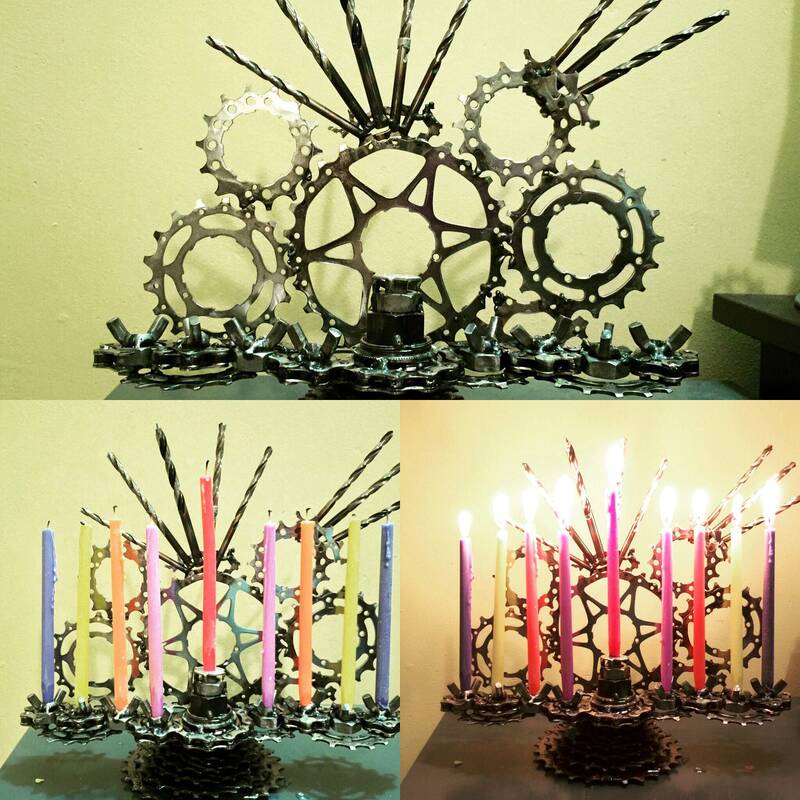 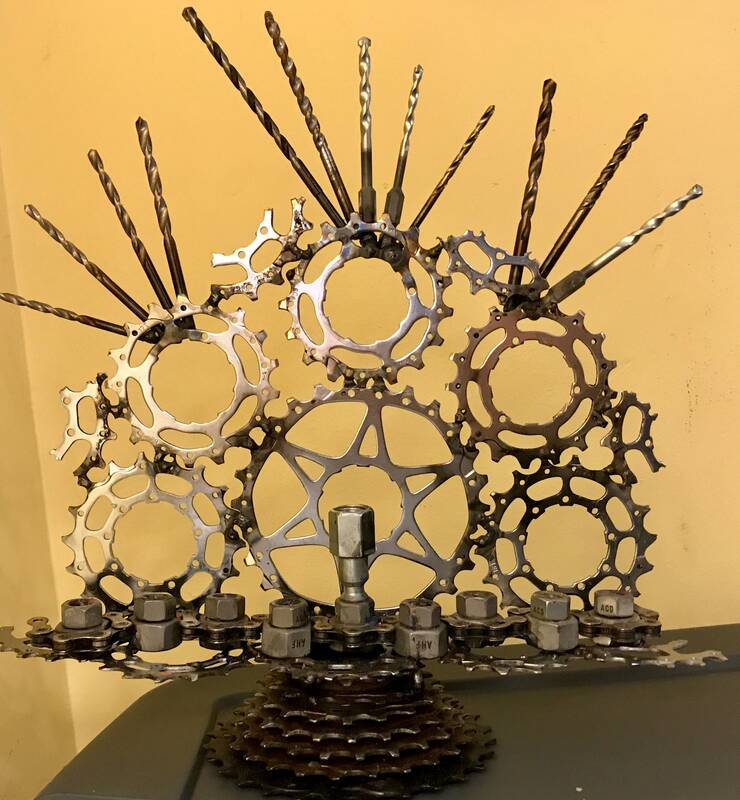 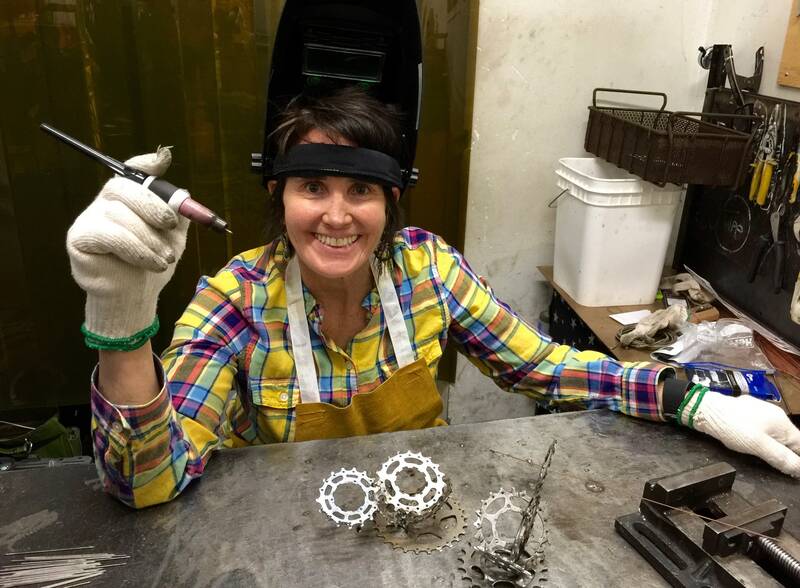 This one-of-a-kind custom TIG welded menorah is made to order from reclaimed bicycle chain, cogs and found metal hardware. 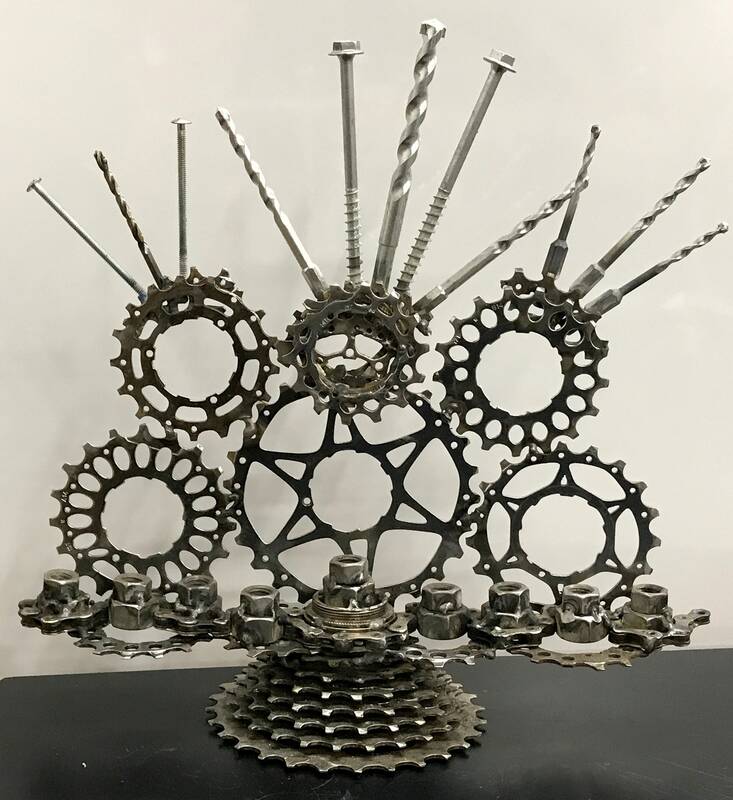 The bicycle parts have been sourced from my local bike shop and my contractor wife supplies most of the reclaimed hardware. 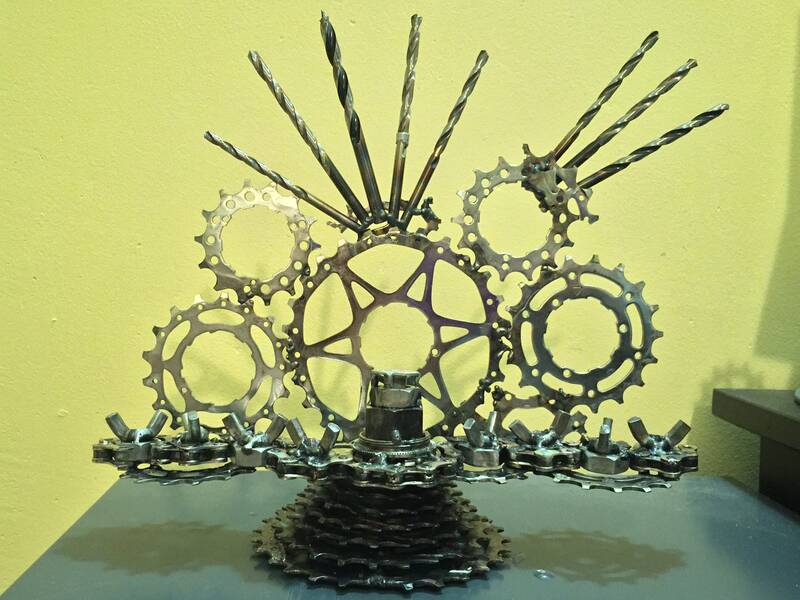 The smaller cogs are welded together on top of a bicycle cassette to form a solid and sturdy base. 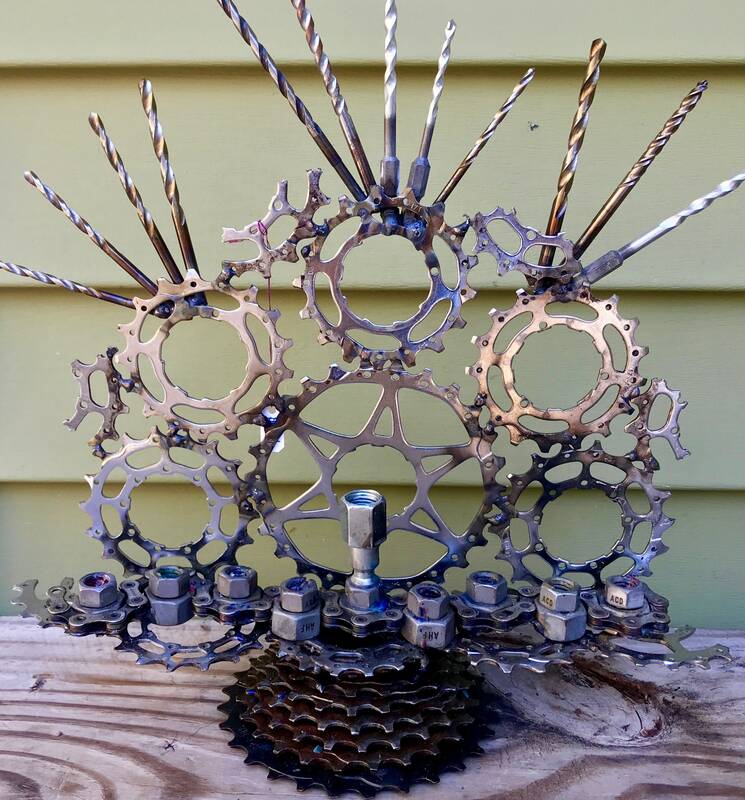 Bike chain is wrapped and welded around hardware nuts and/or metal tubing to form the candle holders, The decorative backing is created by welding bicycle cogs, drill bits, screws and other found metal into a unique "latticework metal collage." 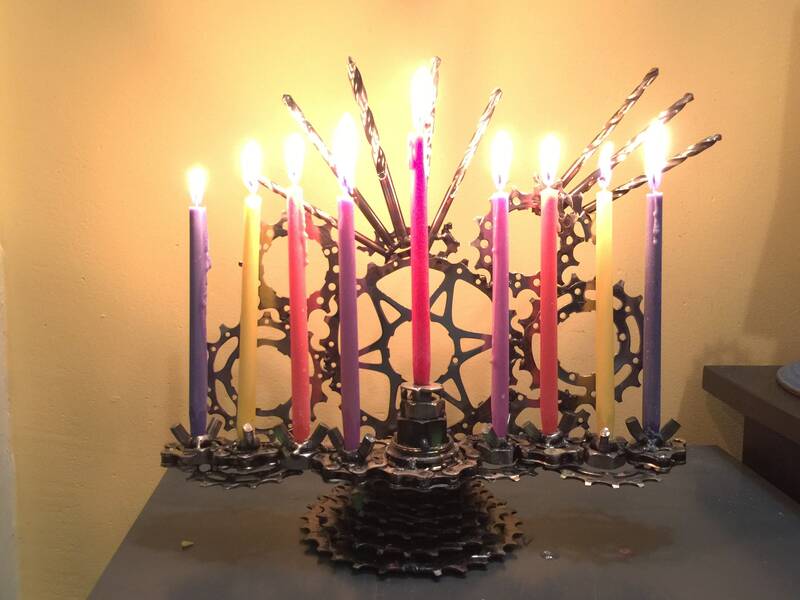 Each menorah is created to order and can be painted in any color or polished to showcase the natural beauty of the raw metal.